Children have a rich and vivid imagination. That’s why they sometimes do and say the oddest things, and come up with the most disgusting things to put in a cake recipe! It’s all about trying different and new things to see if they work. This is what role play is all about. Trying out something new and seeing if it works or if its fun. It doesn’t matter if you are dressed as a wizard or a fairy, a doctor or a nurse or a superhero, role play enables children to explore the world around them in a new way, and to model the behaviours that they see adults display all the time without thinking. It allows them the opportunity to play the hero and be as good as they can be or the villain and make sure that justice is served, usually by a trip to prison. 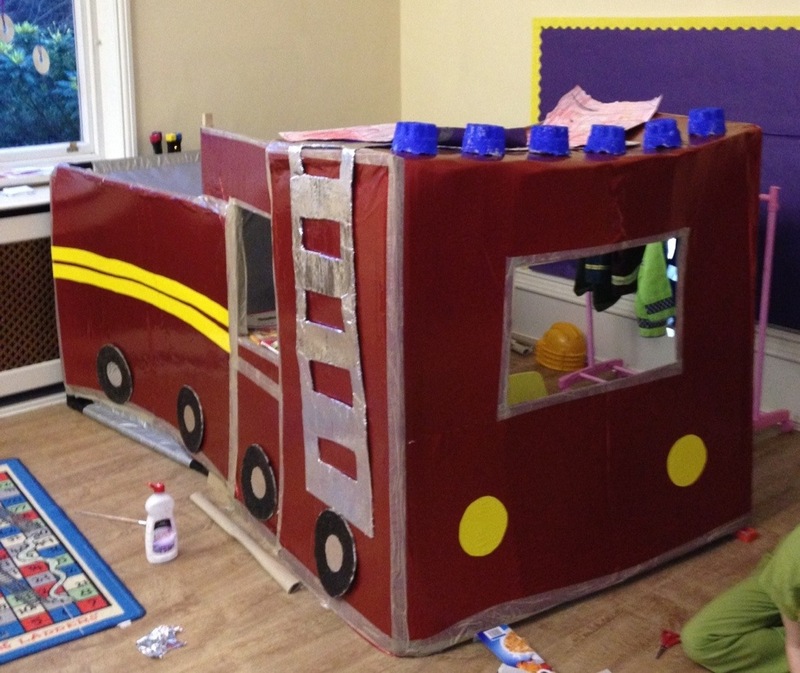 At Danesmoor House Day Nursery, role play is supported by our team. They provide stories for inspiration, they provide costumes to help the children make it feel more realistic and more importantly provide props to support the children’s play. The Fire engine is an example of this. 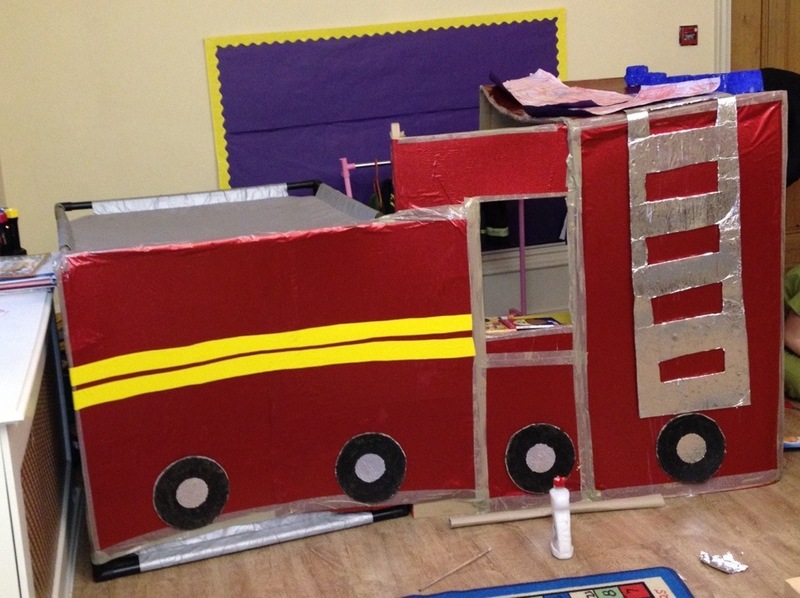 The children have helped with the gluing and the painting and the team have done the fiddly details and more importantly used their own imaginations to see the world through the eyes of a child and use their adult skills to create something truly magical. This attention to detail is vital, not only in terms of providing the children with something to do, but also reinforces the relationships your children have with their key carers. The children can help creating something fun and experience the feeling of shared success. and they are certainly very excited about coming into the setting to see what happens next. After Christmas with their families and time off for many of our children, it’s good to know that the team here are working hard to make sure that Danesmoor House Day Nursery is a place that children want be in.